First Degree Reiki training is about connecting to the Energy, developing your sensitivity to the flow of energy, beginning your own healing and expanding your mindset to allow you to channel the energy effectively. It is also an introduction to the spiritual aspects of Reiki practice. You will be taught via presentation and demonstrations, question and answer, pair work, group discussion and practical tasks. You will also take part in a group attunement – a simple ceremony – to enable you to act as a channel for the higher vibrational frequencies that are Reiki energy. Practical Session – give and receive a Reiki treatment using the techniques you have learned. This 1 day course provides a thorough introduction to Reiki healing. This class is fun, concise and explores not only the techniques and principles of healing yourself, friends, family and pets, but will give you valuable tools of empowerment for the next chapter of your Reiki journey. Students will be provided with a manual. This course is a maximum of 6 students to allow personalized attention and adequate time for practice. As students of Rose and Willow you are encouraged and very welcome to keep in contact with us after your receive your certification. We are happy to offer advice and support as long as you require it. Our door will always remain open to guide and encourage. “I am so grateful to have had Rose and Willow as my Reiki teachers. I have been dealing with chronic pain and health issues and was at my wits end with it all. I decided to look into level one self healing which led me to RoseWillow Reiki. Both Rose and Willow are incredibly caring, compassionate and gifted teachers. They held an incredible space for me in the class and even accommodated all of my needs as someone who deals with chronic pain, making it a very comfortable and healing experience. They were both so gentle, kind and intuitive. Since doing my level one I have experienced an incredible shift of healing especially emotionally. I have suffered from anxiety for 20 years and I no longer struggle daily with it. Also the pain in my legs has subsided and I feel a huge shift happening for me healing wise. They taught me that I have the power within me to heal, which was very important learning for me. They are incredible teachers and continue to check in with me and support me on my healing journey. I will definitely continue on my reiki learning with them. I would highly recommend being taught by and/or having treatment from both Rose and Willow as they are amazing practitioners.” – Jessie, White Rock, BC. Second Degree Reiki training greatly increases your ability to use Reiki. The course introduces the famous Reiki symbols, and will explore the many ways of using them to enhance the experience of Reiki, their practical use in daily life, and the deeper meaning behind them. Reiki Level II is known as the Practitioner Level, and enables students to give professional treatments with confidence and start their own practice if they wish. Reiki II is also for self development and spiritual growth which is the main original focus of the symbols. Students will be provided with a manual and a light vegetarian lunch. This course is a maximum of 6 students to allow personalized attention and adequate time for practice. 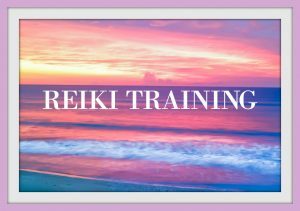 REIKI LEVEL III MASTER CERTIFICATION – Coming Soon! Missed an enrolment? Please contact us for furthur dates or inquire about private instruction for any of our classes. Please contact Rose or Willow for more information.